We’d love your help. Let us know what’s wrong with this preview of My World by Jeff Ott. In case you aren't familiar with the author, Jeff Ott is the singer of Berkley-area "peace punk" band Fifteen. 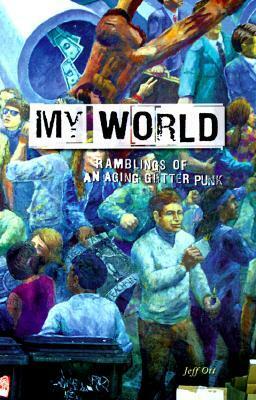 To ask other readers questions about My World, please sign up. I read this book in when I was 15, when I was listening to Crimpshrine and Fifteen all the time. Jeff Ott's well intentioned, and I got a lot of good ideas and perspective out of this collection of zines at the time, but something tells me it would be hard to stomach reading now at 24. I could be wrong, but I would rather remember fondly than revisit. very radical, somewhat informative, definitely entertaining. just a "best of" collection from ott's old zines. stories of life in the gutter, as well as some inspiring manifestos of the way the world should be, according to jeff ott.